Workplace Safety & Health Company IH consultants are trained to inventory and assess confined spaces of various types and sizes. Industrial Hygienists may wear Hazmat or other chemical protective clothing when evaluating highly hazardous atmospheres or environments. 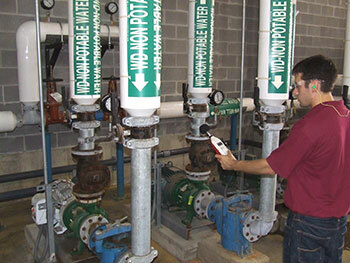 An IH consultant uses sound level meters to assess noise levels in industrial environments. Industrial Hygienists place noise dosimeters on factory employees to monitor employee exposure to noise levels. Lockout/tagout involves assessing a machine’s operation and identifying all energy sources. Tagout of electrical switches in a control room warns employees not to start equipment. An Industrial Hygienist uses an X-Ray Fluorescence (XRF) analyzer to determine lead-based paint concentrations on a facility’s exterior. We do air sampling for airborne contaminants using sorbent tubes. Industrial Hygienists use a filter cassette equipped with a cyclone to collect respirable dust samples. Workplace Safety & Health Co. Inc. is a leading provider of industrial hygiene, safety, and risk management services; industrial hygiene and safety data management; and occupational safety training courses. Our mission is to provide our clients with premier occupational safety and health services designed to reduce workplace injuries and illnesses, which promotes client profitability. Workplace Safety & Health Company, Inc. aspires to set the standard in occupational safety, industrial hygiene, and workplace risk management. 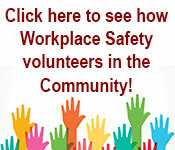 Welcome to Workplace Safety & Health Co. Inc.
As an occupational health and safety consulting firm, Workplace Safety & Health Co. Inc. specializes in risk management. Our primary concern is helping our customers reduce health risks, injuries, and illnesses while promoting their profitability through sound health and safety management practices. The science of Industrial Hygiene is dedicated to predicting, identifying, evaluating, and controlling environmental factors that arise in or from the workplace. 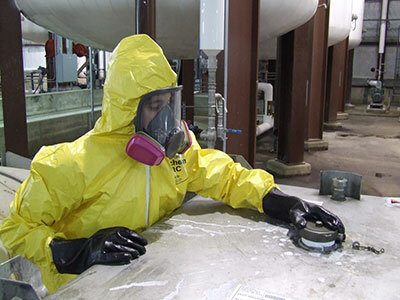 Industrial hygienists—scientists and engineers committed to protecting the health and safety of people—assist companies in dealing with risk management and occupational-related health problems, which are key concerns of employers today. Professionalism, quick response time, competitive cost, and superior quality reports are all reasons our clients come back again and again. One example of superior reporting is our unique Noise Mapping System that sets us apart from the competition. We conduct Sound Surveys to document sound levels throughout a facility. Once the Sound Surveys have been completed, we use a Noise Mapping System exclusive to our company that provides our clients with color-coded AutoCAD® drawings depicting the noise levels within the workplace. With our specialized monitoring, mapping, surveys, evaluations, and data management tools, our consultants can help you solve your company’s air quality, lockout tagout, noise, industrial hygiene, ergonomic, or confined space exposure needs. Call us today at 317.253.9737 or click here to request a quote or for more information.